What Is Net Neutrality, and Why Should You Care? 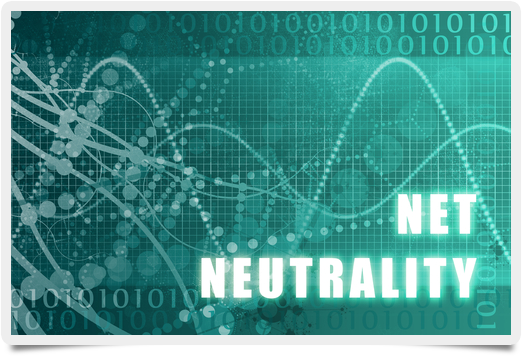 Broadband @ Home » Broadband News » What Is Net Neutrality, and Why Should You Care? Politicians, large corporations that provide Internet services, and public interest groups all continue to argue about the somewhat esoteric concept of net neutrality. But what is net neutrality, and why should you be concerned about it? If your Internet speeds remain fast, does it really matter? Ultimately, this is a complex concept that pits free access to the Internet for both users and content providers against the desires of the large networking companies to potentially set up a tiered system using the infrastructure that they have largely built. In its simplest definition, net neutrality means that Internet service providers cannot discriminate between different types of traffic or applications. The Internet remains equally accessible for both users and those who create websites, apps, and media content to be shared on the Web. However, ISPs feel they have the right to charge more money for both users and content providers that use a majority of their bandwidth. In many cases, this desire is aimed at the popular movie streaming services and other video streaming apps that take up a significant amount of network traffic. The US government, most notably the Federal Communications Commission (FCC), is stuck in the middle as providers like Verizon, AT&T, and Comcast battle with a variety of consumer rights associations over net neutrality. How this ultimately plays out as high-priced lawyers and lobbyists scurry around Washington DC is anyone’s guess. While it can be argued that content providers whose video content takes up significant Internet bandwidth should have to pay more to Internet companies for access, customer subscriber fees will probably increase as a result. Companies that argue against net neutrality feel that the resultant competition between Internet companies will be good for the industry. What is net neutrality and why does it matter to you? If you enjoy using the Internet for a wide variety of uses, this is an issue to pay close attention to as the FCC decides on which direction to go.